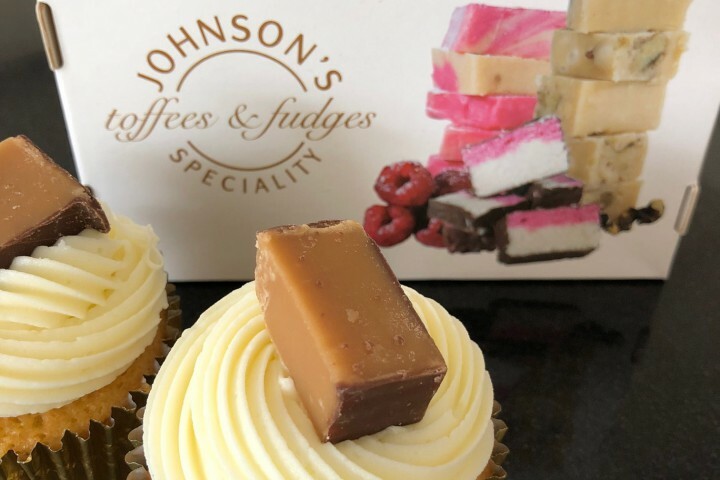 Lynda Morrison from Cake by Lynda Morrison used Johnsons fudge in her cookie recipe and sent in a review plus the actual recipe and a step by step method for our customers, which we have duly published below! Happy baking. 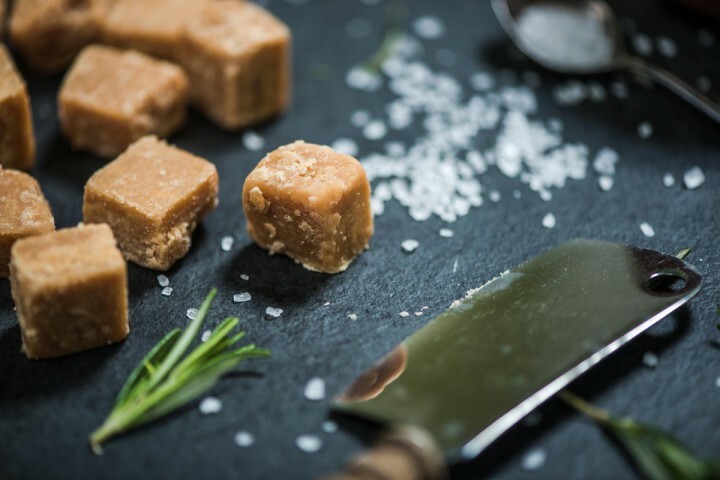 The maple flavour tasted natural unlike the many artificial tasting flavours you often get with fudge. 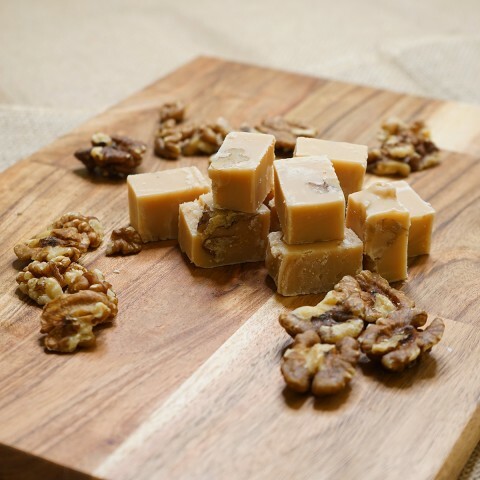 The chunks of walnut added a little crunch to the lovely taste. Quality product! 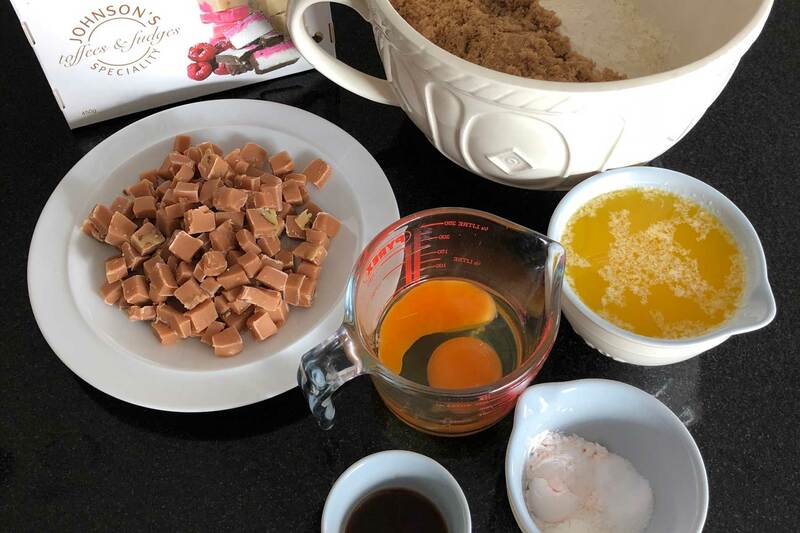 I chose to make cookies with this fudge and I wasn’t disappointed. Chunks of fudge were added to my favourite cookie dough. The cookies were soft and a little chewy, the fudge around the edge of the cookie had caramelised into a delicious ‘toffee like’ crunch. 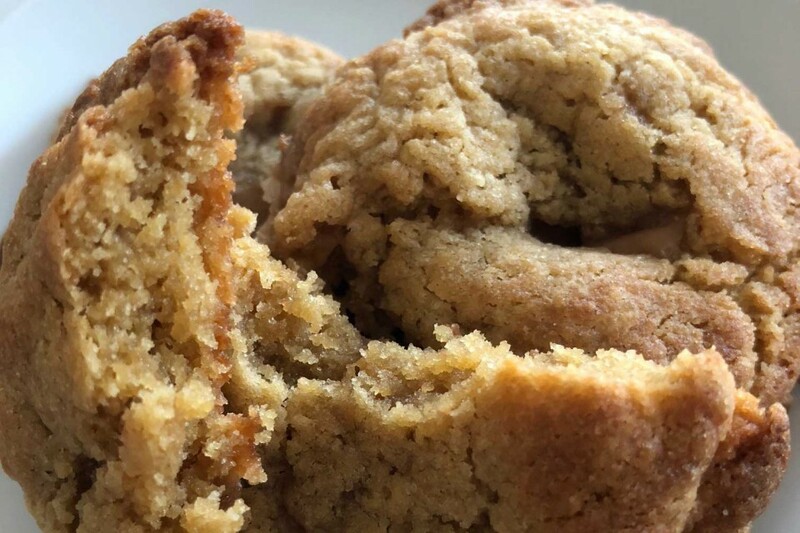 Using a tablespoon measure, roll into balls of two tablespoons of dough per cookie. 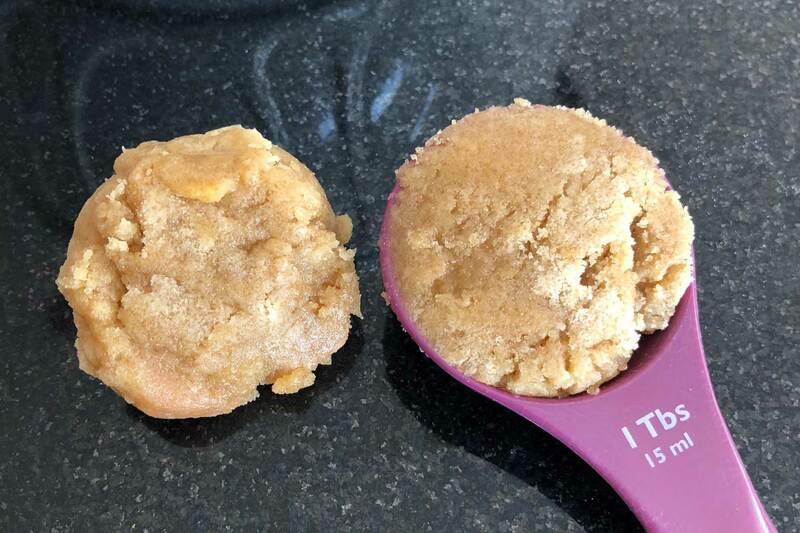 Your cookie dough balls should be twice the height as the width, ‘tall balls’ – makes 20. Cover a tray with clingfilm and place the cookies on the tray, cover with clingfilm and refrigerate for at least an hour. 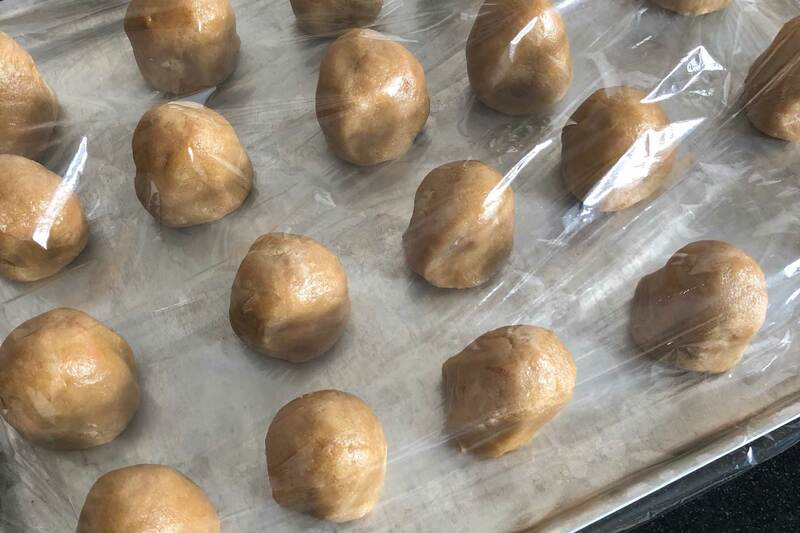 Once the cookies are cold and hard at this stage you can freeze some or all of the balls to be cooked on demand at a later date. To bake the cookies, place on a baking sheet lined with baking paper, about 3 inches apart to allow for spreading. Bake at 180 degrees C (fan) for around 12 minutes, keep a close eye on them. They are ready when the dough balls have flattened, and the edges are lightly browned. Important, cool on the tray, the cookies will harden on cooling. If baking from frozen you will need to increase the baking time by around 2 minutes.